Archive by category "Adoption Updates"
Happy Friday! We have exciting news to share – we have received 5 referrals of children from the Philippines. Congratulations to these families! 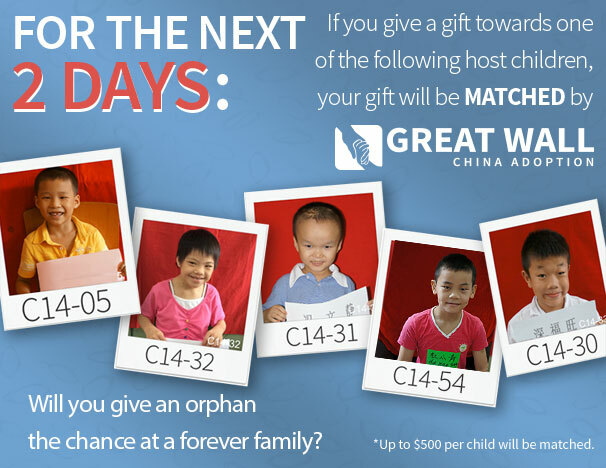 We only have five spots left for families wishing to adopt a relatively younger child from Philippines. Contact Jeanne@childrenofallnations.com to learn more. Children of All Nations is excited to launch it’s Student Ambassador Exchange program, which assists high school and college students as they study, work, and grow in the United States. The goal of the Student Ambassador Exchange program, and of Children of All Nations, is to create an understanding between different culture to build a better world for tomorrow. We are currently recruiting host families for our Homestay Program in Austin, Texas. We have partnered with St. Michael’s Catholic Academy and will be assisting them in finding host families for their international students. 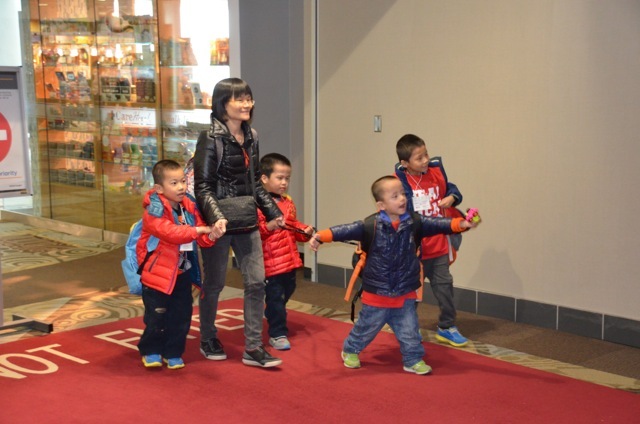 We believe our adoptive families are the perfect choice for international exchange students! It presents you with the opportunity to learn more about a culture different from your own and allows you to help a student grow and learn as they live with you during the school year. You’ll have the support of a SAE/CAN Program Coordinator and receive a small monthly stipend to offset the costs of housing the student. Families should have a bedroom available for exchange students, which may be shared with a child of the same gender and approximate age. Families should also be willing to assist the student in getting to and from school, or to St. Michael’s convenient drop-off transportation locations in Austin. For more on host family requirements, you can visit our website to learn more about becoming a Host Family in Austin, Texas. If this sounds like an opportunity for your family, please contact me, the SAE Lead Program Coordinator, at (512)323-9595 at ext. 3062 about filling out an application today. We are actively looking for families pursuing a regular Philippines Adoption. ICAB has released that we have several spots to fill for this upcoming year. This however means we are limited, and we will be filling them quickly. Philippines adoption is a very stable program and we have many happy families that have adopted from there that would be happy to share their story with you. Our International Adoption Consultants are waiting to hear from you about how they can help you start your family’s adoption journey. If you have experience either with hosting or with adoption, we would love to have your experience as a volunteer with our Orphan Hosting Program for this summer! We are looking for individuals to serve as Volunteer Coordinators. These are people who are excited to be a part of an orphan hosting session from start to finish. You’ll get to watch families get matched with their host child, walk the families through the requirements of hosting, and be there for them when the kiddos are here. Volunteer Coordinators will be provided with training by GWCA/CAN staff and will receive weekly emails with tips and training to help their families move seamlessly through the hosting experience. All that is required to serve as a Volunteer Coordinator is an email account and phone that you can use for volunteer purposes, and of course an open heart for helping the children in our program find forever families! Visit our site to learn more. If you’re interested please contact Cayce via email, or call 512-323-9595 ext. 3062 for an application! 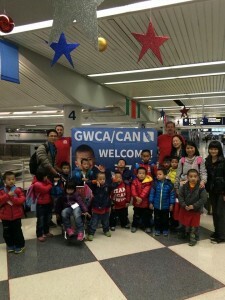 China Host Kids Are Here! 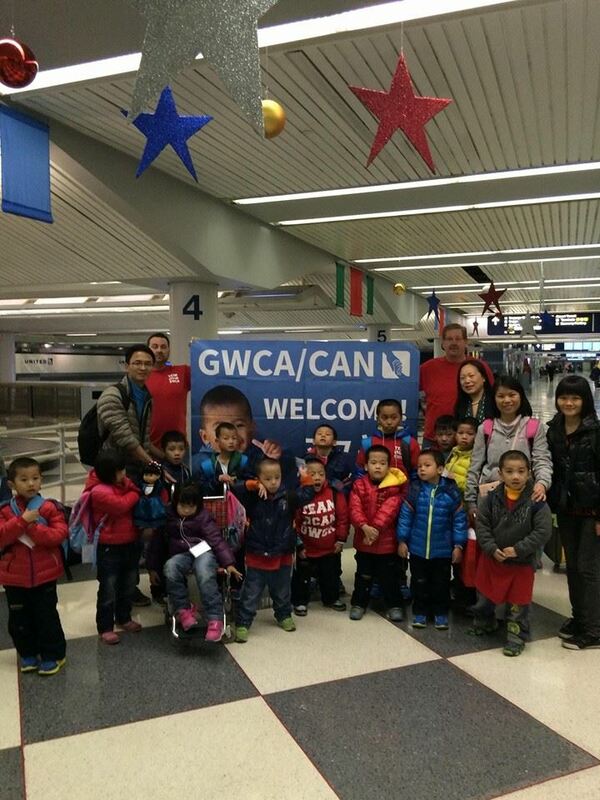 Friday afternoon and Saturday morning, the 25 children from China made it safely to the U.S. for our Holiday Hosting Program. They are all safe and sound with their host families and we can’t wait to hear stories, see photos and help all of these children find forever families. 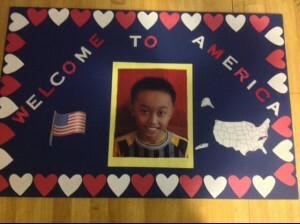 Look at some of the photos from our airport arrivals! Limited Time – Hosting Grants – Donate Now! Are you looking to help an orphan but not sure how? There are so many children hoping to visit America for the holidays. All these kids need is a little extra help to get here. Your donation could help bring one of the kids home forever. Donate here and note which of the following children your donation is for in the ‘in honor of’ field. Our Asia Holiday Hosting photo listings for China and the Philippines are now available. Click here to receive your password to gain access and learn more about the children participating in the program. These children will be coming to the U.S. the first week of December and will be staying until the first week of January. We are looking for families that are interested in hosting to adopt as well as hosting to advocate. 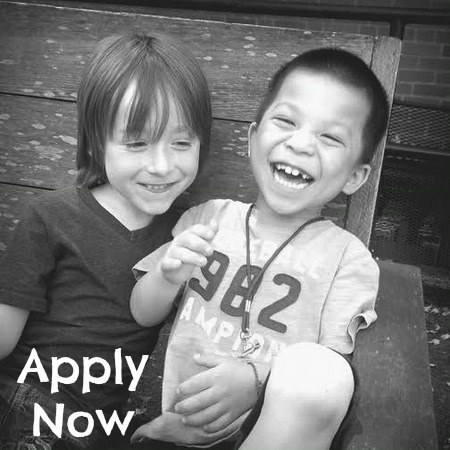 Apply Today to be matched! Visit www.orphanhosting.com to learn more. Visit www.orphanhosting.com to learn more about the 2014 Holiday Hosting Program. “Today we wrapped up our interviews in our first orphanage and spent hours deliberating which kids to select for hosting. They ALL stole our hearts, but unfortunately we could only select about half for the program! After all, we still have kids from two other orphanages who deserve a chance to have a life-changing trip to America this winter. As we bumped along in the car on the way to orphanage number 2, our three American-sized bodies squeezed into the backseat of a Chinese-sized compact car, we finally settled on the sweet kids from orphanage 1 we will match with our families. “Bruce” (honorably nicknamed after Bruce Lee), walked in with a stoic and serious look on his face. He was ready to get down to business. He promptly obeyed every task we asked him to complete and matter-of-factly answered each question. Oh, he was aiming to please! We kept asking him things that would get him to show personality, and he certainly took initiative to do things like write his name. Finally, we got to the “what would he like to learn to do?” question. All of the sudden he lit up and said, “get better at martial arts!” And he immediately proceeded to perform and entire sparring routine, complete with perfect form, “hi-yas,” and ended with a bow. Then he posed like a real karate kid for his hosting photo! He was so proud to impress us, and thanked us for letting him show off his skills. And we just have to add that he is incredibly handsome for a 9 year old, so watch out ladies, this little Cupid will be on the loose September 20th, so get your applications in before that for a chance to be matched with our sweet Bruce! Ni Hao from The interview team in Guangzhou! We’ve had two amazing days interviewing the sweetest, fun loving, most beautiful children we’ve ever seen! We can’t wait to share their smiling faces with you in a few days. As we prepare their bios and photos for our first 40 VIP families (still a few spots available! 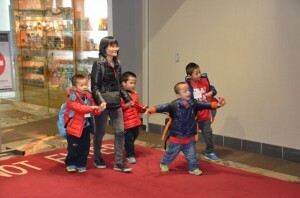 ), you can look forward to some cute stories and photos from the trip. Little “Caleb” walked in with a big smile and kind eyes. He waved and said “ni hao” and was so happy to see us! He had a look on his face like, “It’s finally my turn? Can I draw a picture for you?” One interview technique we use to evaluate he kids’ cognitive abilities is to have them draw a face or person. He eagerly drew a face, and looked up at our “Dr. G.” seeking approval for his drawing after each feature: eyes, nose, mouth, etc. As we asked him questions, with a sheepish grin he shyly but willingly answered. Favorite color: red; favorite food: spicy! Then came the question where he melted our hearts with his answer: “If we could grant you one wish, what would it be?” And his answer was, “I want to go find some parents in America, and then come back every three years to visit my foster mom and friends.” We looked at each other, and “awww” was a universal word for all of us, both Chinese and English speakers. You can look forward to seeing him and others who expressed their interest in visiting the US to live with a family very soon! These kids are already stealing our hearts and we are barely halfway through the interviews! Check back tomorrow to read about our favorite “karate kid”! 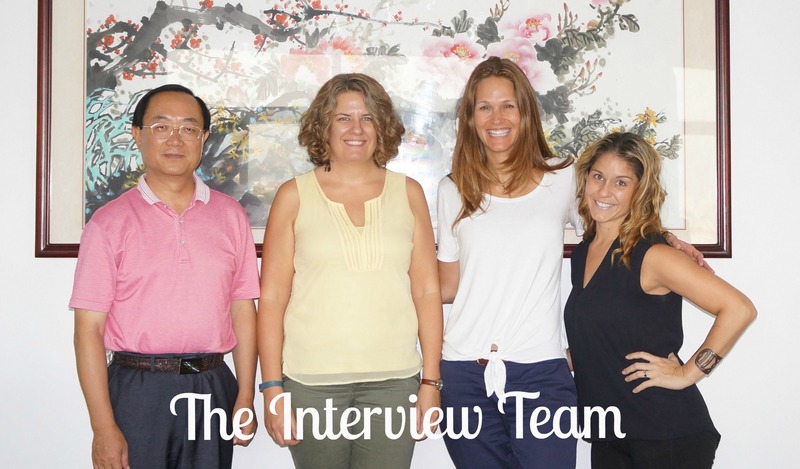 Below is our Interview Team with the Director of the Guangzhou Orphanage. Orphan Hosting Registration is Now Available! Our team will be traveling to China next week to personally meet with our host children. Our goal is to get to know the kids and better understand their needs so we can find them them the perfect family. We are thrilled to be working directly with 3 partner orphanages in China for this host program. GWCA and Children of All Nations will be managing this hosting program on our own, the CCCWA has indicated that our 18 years of experience in China is more than enough to successfully execute this program ourselves. To take part in this winter’s ‘Holiday Hosting’ program, contact our Host Program Coordinator today. The photo listing of children will be available to VIP families for priority matching September 20th. For all other interested families the list will be available at a later date. To become a ‘VIP’ family, you must be one of the first 40 families to apply by September 19th. Please note we always need host families for our children’s chaperones! These chaperones are social workers and orphanage caretakers who come to support the children during the program. They are excited and motivated to be here, and love to share their culture with you! Our Chinese chaperones usually speak a little English, but love to learn it while here. Our Filipino chaperones speak fluent English. BOTH love to cook their delicious country foods for your family. If you are interested in a great cultural experience by hosting a chaperone, please let us know. It is NO COST to you to host a chaperone. All you need is a spare bedroom and an open heart and mind. Oh Happy Summer! 15 Kids have come home with their families in the month of August. 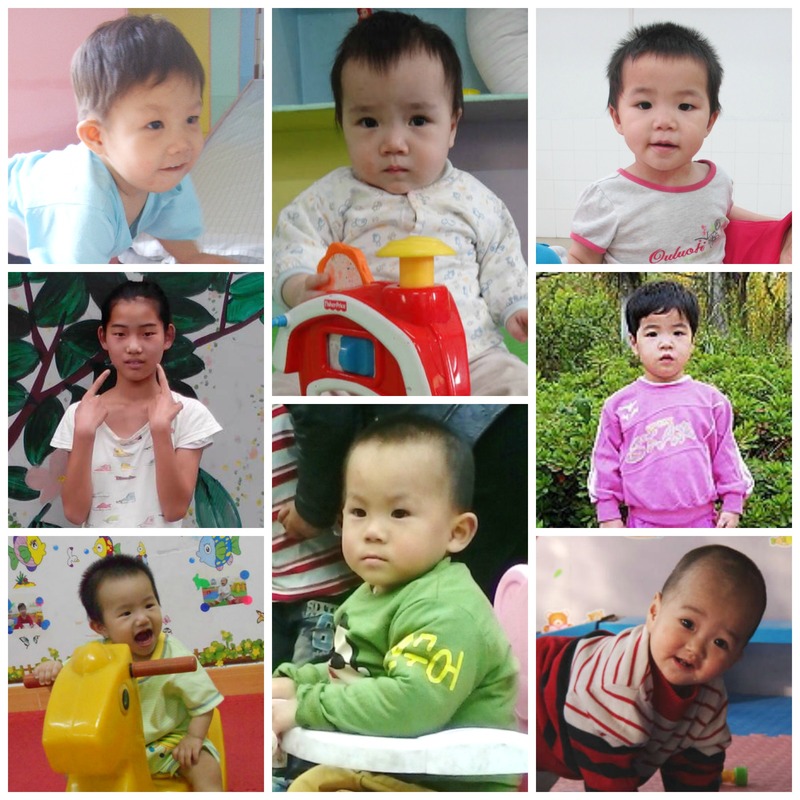 Thirteen of these beautiful children were from China, and two from Latvia! 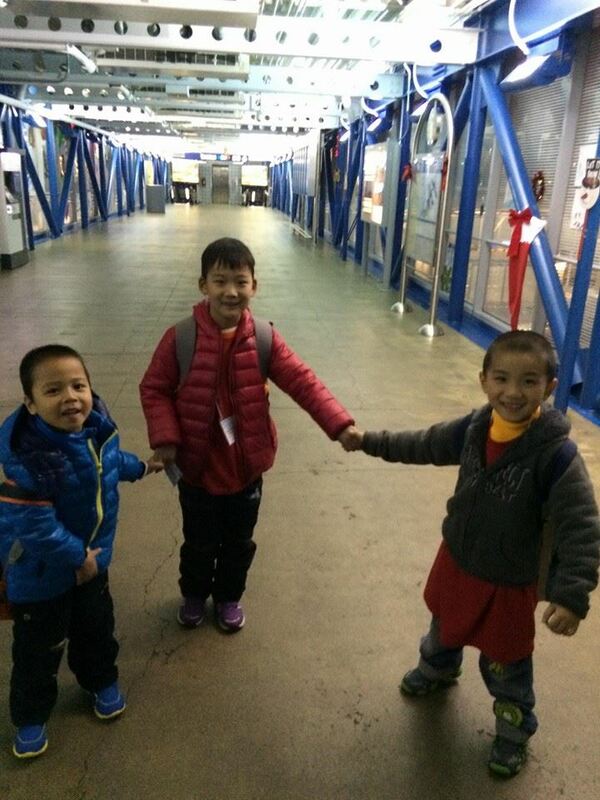 We are so thrilled to have the kiddos home safe with their forever families. Look at some of the smiles that have finally made it home!